A few years ago, I made a promise to myself to only wear quality footwear as I knew it would be an investment for the environment and my future self. When Wiivv contacted me and asked if I wanted to review their 3D printed custom sandals I was intrigued. I hadn't heard of 3D printing being used in the footwear industry as yet but jumped for joy at the thought of having a pair of shoes custom fitting my feet. After browsing their website I was more than excited to try them out! 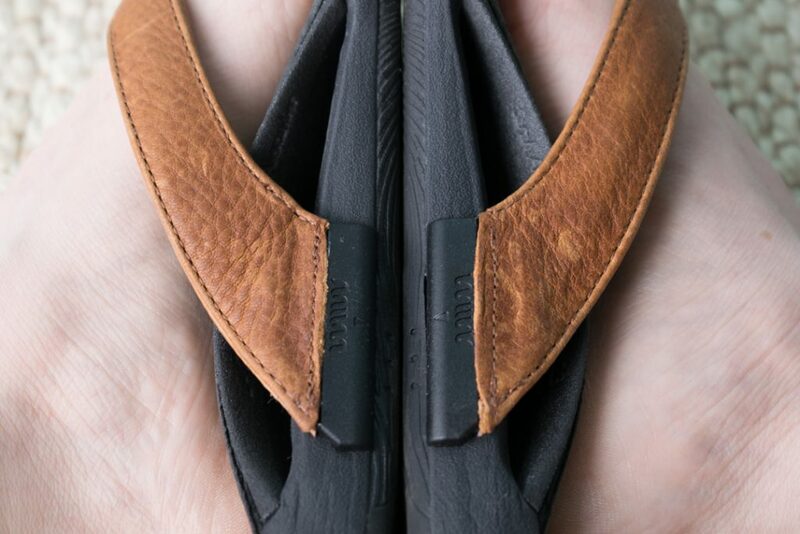 The Wiivv custom fit sandals have been designed to give your feet ultimate support. They achieve this by 3D printing their soles to the specifications you easily give them through their app. I'll explain this a little more in a moment. The technology uses digital mapping to mark up to 200 points on each foot to create an arch in the shoe to support your feet properly. They're a flip-flop design, but very different to any flip-flops you would've worn before. 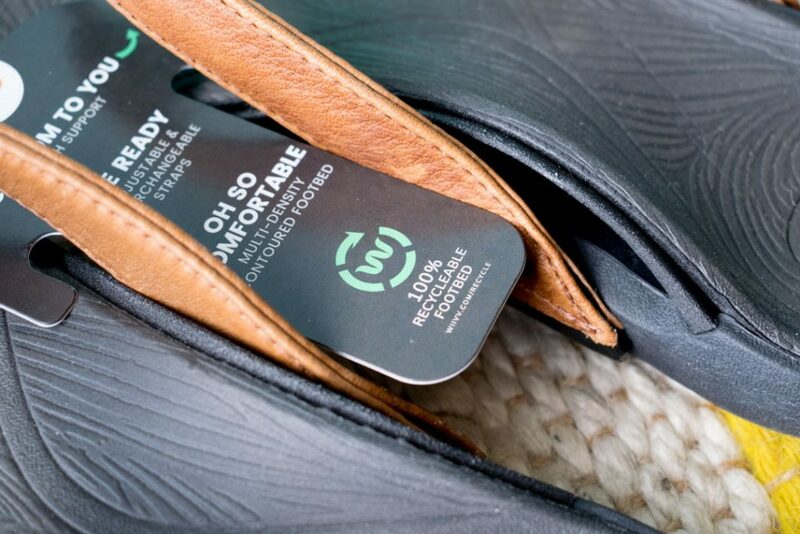 "Wiivv Insoles and Sandals are designed to support a healthy, active lifestyle. How? By providing the support you need to move the way you were meant to: pain-free. Because every day’s better when your feet don’t hurt." I'll be honest, I was a little intimidated by the ordering process. I didn't quite understand it properly as I was under the impression I needed someone to help me, and also thought I needed a white wall. Neither of these was true, and when I finally ordered I discovered how easy it really was. First, you browse their products then purchase the shoe or inner sole from their website. Once you've made the purchase, they'll email you a link to download the app and do the measurements there. You can also skip the browser and view the products and order straight from the app. The app is on both Android and iOS. When you first open the app, Wiivv asks a few simple multiple choice questions to better understand your needs. Then it's time to measure your feet. Use a piece of plain white paper which is either 8.5 x 11 inches or A4. I need to stress that you know what size the paper you're using is. I thought I was using A4 but it was actually 8.5 x 11 inches, so the shoes arrived way too big. I had to return them so they could re-make them and felt awful for wasting their time and resources! To take the measurements, remove your shoes and socks. Then you just need to place the piece of paper against the wall long-ways and follow the instructions to take the perfect photo. For the photos of the side of your feet, just lean your phone up against a glass door or a wall and follow the instructions on the screen once again. I found it best to use a glass door as the light was much better. You'll need to take a photo of each foot (total of 4 photos including the top and sides) as they digitally print each foot to its own specifications! The whole process was quite the novelty and surprisingly enjoyable. It was much better than trying on a million different styles in a store that's for sure! 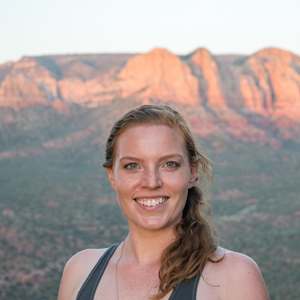 Tip: Keep an eye on your emails for the next day or two in case you need to retake the photos. They 3D print your custom arch and place the toe thong specific to where your toes are, the straps are also adjustable so you can find the perfect fit. 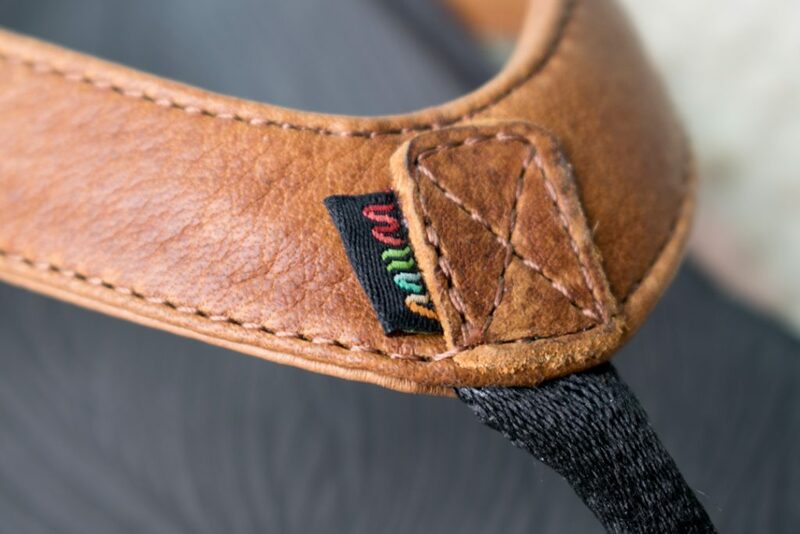 The actual sandal is made out of high-performance foam. If you're not happy with them, they'll accept returns with no questions asked. When I did my measurements wrong and received a giant pair of shoes, I emailed Wiivv very apologetically. Their customer service was incredible. They were very understanding and explained that they would make and ship out my new pair as soon as the wrong ones arrived at their warehouse. When my Wiivv's arrived I was really impressed with the professional presentation. The extra effort made me feel valued as a customer and that it was a special item, not just another plastic wrapped item thrown into an Amazon box with a ridiculous amount of padding. The Wiivv's came in their own turquoise and white presentation box (in a larger cardboard box) without any unnecessary or unrecyclable packing. The leather is great quality and the foam base was soft and comfortable as soon as I put them on my feet. The sandals fit my feet perfectly and I was around wearing them that very same day with no issues at all. No rubbing, no chafing, just pure comfort. Compared to a pair of regular flip-flops, the souls are much thicker. They're not as streamlined as some other sandals I've owned. However, those sandals weren't as comfortable either. The straps can be taken off and set further forward or backward depending on your preference. Another little trick is you can swap the strap colors. I love this as I've tried to be more of a minimalist since traveling. There's no need to carry around a whole new pair of shoes. I am so in favor of the recyclable footbed. How you'll "dispose" of an item should be an important factor when making purchasing decisions and not many brands consider that. 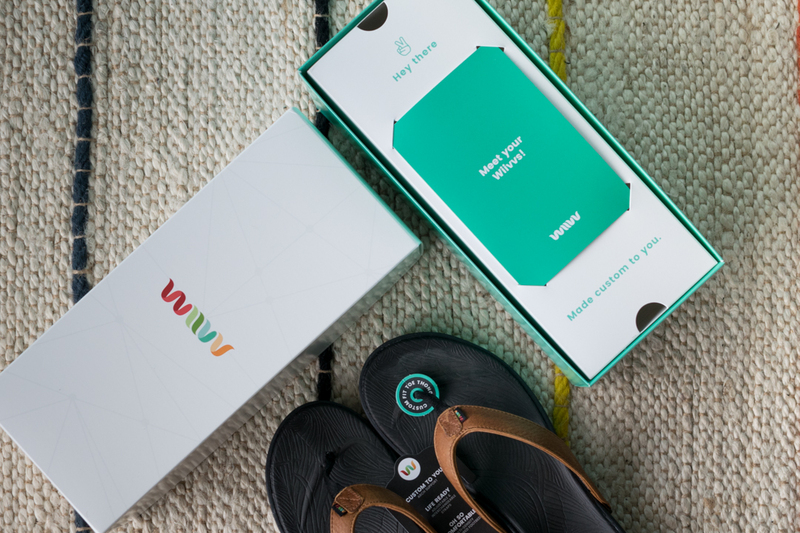 Wiivv will accept the footbeds once you've worn them out to then create a new pair of sandals. This whole process is simply genius to me, and it works. The materials Wivv have used are waterproof and sweat-proof, the straps adjustable and interchangeable, the "toe thong" is placed in the right spot, and they're just so damn comfy! The process of ordering them literally only took a few minutes of my day which is so different from almost every other shoe purchasing experience I've had before. I like that they don't have a huge range of styles, they've stuck to what is classic and what works. The only thing I would change is that the sandals could come with a heel strap. After wearing my Earth Runners around which are literally strapped to my feet, I don't quite feel as secure in the Wiivv's and I wouldn't do any activities more than walking in them. That being said, I have these with the intent of just walking in them so that's not too much of a problem. Wiivv Custom Fit Sandals are a win in my book. They're ticking all of the boxes and I've been recommending them to my friends and family. The process from start to finish was so easy (except that I didn't know what size my paper was! ), and it's great to be able to order with confidence. The app was a clearly laid out system which I can't fault. As for the price, at first glance, it seems expensive for what you're getting from the simple design, but it's that simple design that's had hours and hours of thought put in (and rigorous testing according to their website) which makes these such a fantastic investment. Like I said at the beginning, it's important to invest in your future, and so many problems can stem from poor footwear choices. These are premium quality, custom made shoes. I think it's a pretty good deal. If you have any questions about Wiivv, please send me a DM on Instagram and I would love to help you out! I was provided with this product in return for my honest review. All thoughts and opinions expressed in this article are my own and not influenced by the company.